Cool “GMC COE Cabover Hotrod School Bus” spotted outside the new Princess Auto in Langford. Yes you read the info. above correctly. We now have a Princess Auto on Vancouver Island. 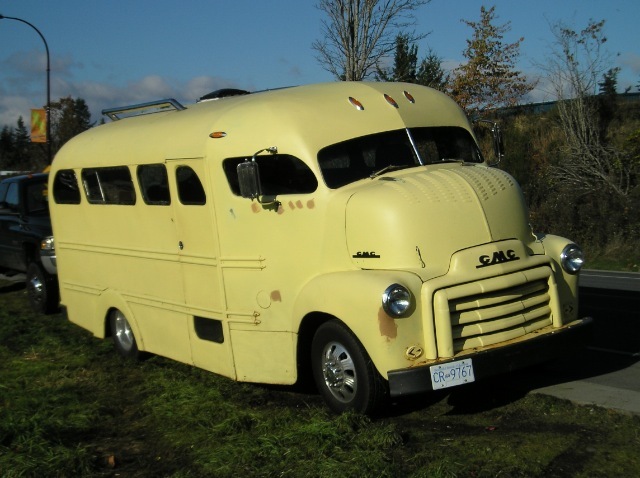 Hi, I remember seeing this thing going down the Pat Bay highway this summer….. COE truck with Airstream camper attached. The Jalopy thread has a video link about a movie on it…. to have a free digital issue available in early Dec.
art by Jeff Norwell. Go get yours. Santa looks Kool!!! Till next time. Keep drive-un…………..